Despite high diplomatic tension between Moscow and the West, world football officials and personalities as well as world leaders have lined up to praise Russia's hosting of the tournament. President Vladimir Putin said Russia could be "proud" of its hosting of the football World Cup, judging it a success "in every respect" after Sunday's final. 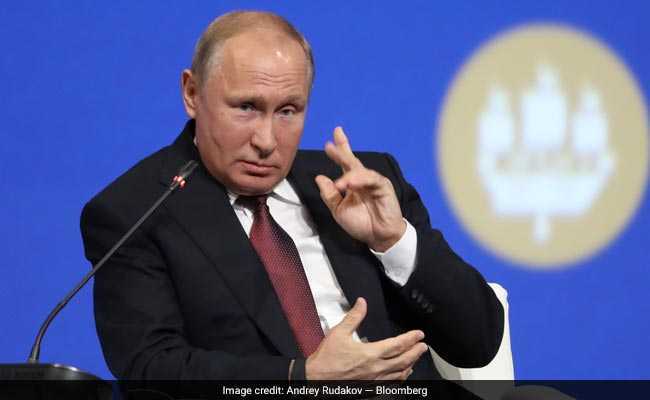 "We can surely be proud of how we organised this tournament," Putin said in televised comments after France's victory against Croatia. "We have made this grand event a success in every respect," he added. "We have done it for our supporters, for Russians who are passionate about sport and for all those who love sport across the world." Putin thanked the foreign fans who came to Russia for the tournament. Before it started a month ago, there had been concerns due to the memory of violence between Russian and English fans during the Euro 2016 tournament in France. Fans at this World Cup however "showed that sport and football can manage not to divide people and not lead to fights and disputes, but unite people on the basis of common values," Putin said. "People tried to scare us by saying the English would come and commit hooliganism... But everyone behaved in a most exemplary manner." Putin said foreign visitors holding "fan ID" cards for the World Cup could have visa-free entry to Russia for the rest of 2018. The fan IDs which permitted ticket-holders to enter Russia during the World Cup had initially been due to expire on July 25. Now, "foreign supporters who currently have fan IDs will be able to benefit from multiple entries into the Russian Federation without a visa until the end of the year," Putin said. Russian leaders revelled in Sunday night's dramatic match after French players lifted the trophy. The game was watched by Putin, French President Emmanuel Macron and Croatian President Kolinda Grabar-Kitarovic. Putin said he had congratulated both leaders. "A score of 4-2 in a final -- I can't remember seeing a score like that and few people could," Putin said. "Both teams were magnificent... I am sure everyone liked the way they played, and so did I." The Russian foreign ministry congratulated France for its victory in an official tweet. "Congratulations to the @FrenchTeam for their second title and thank you for this feast of football!" it wrote.